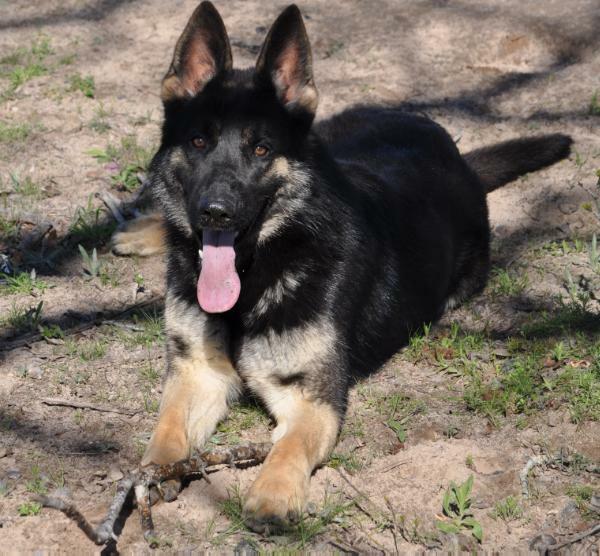 Lilth is a dark black and tan medium sized female. She is a medium threshold girl, loves to play ball and and engage with her person. Not dog aggressive, loves kids and is just an overall happy social girl. 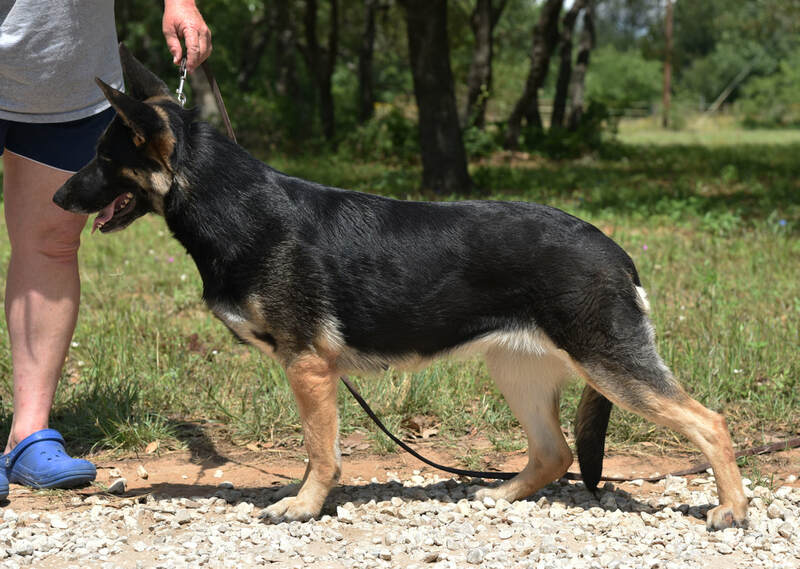 Lilith is 50% DDR working lines and 50% Belgium working lines, she seems to take more after her sire Athos.